The National Trust is launching an experiment in which it will use social media to give 10,000 people control of one of its working farms. Online 'farmers', including individuals, families and classrooms, will be able to take part in the experiment where they will be given control of a farm in Wimpole, Cambridgeshire. 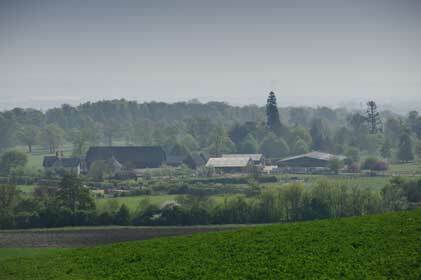 The MyFarm experiment (my-farm.org.uk) aims to connect people with food production on a working farm, giving them an insight into how the 1,200-acre organic farm operates and asking them to vote on farming decisions through the year. Decisions will range from whether to grow wheat, barley or oats through to which animals to buy and rear for the table. They will be put into practice by Wimpole farm manager Richard Morris, who heads the initiative. People will pay a £30 subscription to join the experiment to help cover project costs. Each 'farmer' will make decisions around four key themes: crops, livestock, the farmed environment and new enterprises. Each time a major decision is needed, Morris will set the context, pose the options and start an online discussion. To help with the decisions there will be content including live webchats and comment and opinion from farming experts and National Trust tenant farmers. Blogs and webcams will be used to bring the farm to life, and capture the changing seasons and agricultural process such as sowing, ploughing and harvesting, as well as lambing and calving.